This is the sermon I preached on Sunday, 2/25/18 at St. Timothy. Lutheran Church. The text was Mark 8:31-38. Immediately before today’s gospel reading, Jesus had asked his disciples who people say that he is. This is where the light went on for Peter and he made the confession, “You are the Messiah” (Mark 8:29). Peter certainly gave the right answer and was likely thinking of the attributes given to whoever would be the Messiah. The Messiah, people thought, would deliver them from the crushing rule of the Romans. The Messiah would fight their enemies. Basically, the Messiah was a strong king-like figure. But, now Jesus fleshes out for Peter and others what that is going to look like. They were completely unprepared for the reality. “Jesus began to teach them” (v. 31). Hadn’t he been teaching the disciples all along? Maybe, but this was different. This wasn’t teaching about miracles and healing. This is the turning point in Mark’s gospel, marking a new beginning. “Jesus began to teach them that the Son of Man must undergo great suffering, and be rejected by the elders, the chief priests, and the scribes, and be killed, and after three days rise again” (v. 31). That’s four bits of bad news with only one tiny mention of the good news of the resurrection. Mark doesn’t want the church to use Easter to escape Lent and Good Friday. That Jesus taught his disciples about his coming suffering and death, makes it known that it was not an accident or God’s plan b. This was the will of the Father and Jesus accepted it. He said all this quite openly—Jesus was not engaging in a bait and switch with his followers. No wonder Peter was upset. Perhaps he realized that if bad things were going to happen to Jesus, they just may happen to him as well. Peter is so afraid that he takes Jesus aside and begins to tell him to stop talking like that, but that was a most high-handed way for a disciple to act. Just a few verses before today’s gospel, Peter was not only affirming a high honor status for Jesus as Messiah but also affirming his loyalty to Jesus. So…Peter thought he would be sharing in the rewards of Jesus’ honor as Messiah. However, that’s not the way it works in Christ’s kingdom. What follows is a series of flying rebukes. Peter rebukes Jesus. Jesus rebukes Peter, calling him Satan. Whoa—just how did that conversation devolve so quickly? 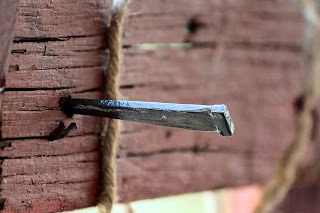 The gist of it is that Peter wants Jesus to compromise, to avoid the agony of the cross. The verb in Greek for rebuke suggests that Peter sees something demonic in Jesus and that Jesus needs exorcising. Jesus will have none of Peter’s rebuke. It’s not going to be easy and it’s not going to end well. If Peter is going to stand between Jesus and the cross, then Peter is acting as Satan, an adversary coming between Jesus and God’s will. Peter needs to either be a disciple or to get out of the way. Peter’s mind was not set on the things of God, but on human things. A rebuke of Jesus could only come from a heart that is ashamed of him. Do we have adversaries that come between us and God’s calling? It could be a person, but it could be anything that is standing between us and taking up our cross. It’s whatever is keeping us from doing the things God has created us for and called us to do. Our adversaries may be doubt, fear, pride, addiction, hatred, anger, greed, insecurity or a million dollars. We all struggle with different things. Some of us want to be liked and want to please people. But if that’s all we’re concerned about, we will never please God. People pleasing sprouts from the seeds of insecurity. If our security is in God and God’s goodness, we will let nothing stand between us and God’s plan. The cross Jesus invites his hearers to take up does not refer to sickness or other burdens of life imposed from the outside, but rather to painful, redemptive action voluntarily undertaken for others. Jesus compared discipleship to the public spectacle of the cross. Following Jesus is not a private religious experience. The call is not, as Martin Luther found out, to ascetic spiritual disciplines, but to a public display of faith that confronts whatever powers prevent the saving work of God. An idiomatic meaning for the phrase is “to be prepared to endure suffering, even to the point of death” (Lou and Nina, Semantic Lexicon). Jesus tells the crowd that if they want to be a follower of Jesus, then follow! They need to go where he goes, sharing the consequences of such. Pain and loss will inevitably follow. What does it mean to save your life and to lose it, that if you lose it for Jesus’ sake and the sake of the gospel you save it? We need to recognize there is no pain-free way to live and that to find our lives will mean saying “No” to false hopes this world holds out for happiness. As seminary professor, Mark Allan Powell wrote, “Life that is grounded in trust involves a death to self-interest (Mark 8:34) and a centering in God” (p. 207). The opposite of loyalty to Christ is being ashamed of him. Peter’s earlier rebuke of Jesus was being disloyal to him. Such a rebuke done openly in public would have shamed Jesus. Here Jesus is not threatening would be disciples, but is simply making a statement of logical consequences. How do we follow the way of Jesus? This week evangelist Billy Graham went home to be with the Lord. His ministry was followed by people of all denominations. Despite his shortcomings or maybe because of them, he displayed a humility, unlike many other public figures. He was following the call God had given him and God used him to influence the lives of many for Christ. He recognized that his life was not his own. In a little while, we will be praying for Gale and commissioning her as she goes to Honduras for 8 days. She’s not going on a vacation but is going to a place with problems. It is not necessarily a safe place to be. However, our prayers will go with her and the angels of God will be surrounding her as she goes forth in the power of the Holy Spirit. Gale knows that this trip is not about her, but about God’s leading and the needs of the people, she will encounter in Honduras. God may or may not be calling you to be an evangelist or overseas missionary. If we have surrendered ourselves entirely to Christ and taken up our crosses to follow him, we will go or stay wherever he leads. Our lives do not belong to us. We need to recognize that we belong to God and God can do whatever he wants with us, just as long as we don’t stand in the way. We live in a broken world of pain. Rather than trying to explain it, fit it into some larger plan, or even simply cry out against it, are we willing to embrace the pain of others? People may be in our “thoughts and prayers,” but there is more. Instead of holding on tightly to life, we freely share it with others through giving, serving and acts of compassion. Perhaps we are to believe without question the person who has shared their story of sexual assault or to stand with a person seeking fair treatment. Maybe you need to keep faith with one who no longer remembers you because of dementia or to keep vigil with one who is dying. Perhaps we are to call for action when action needs to be taken, such as feeding hungry children through the 5 & 2 Ministry.